Alvor - Holes : 9. Length : 3352mts. Par : 36. Lagos - Holes : 9. Length : 3164mts. Par : 36. Praia - Holes : 9. Length : 2969mts. Par : 36. 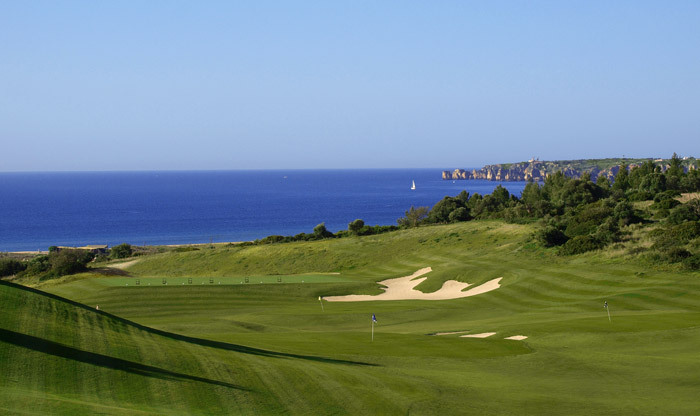 Features : Three 9 hole loops combining classic seaside links golf with elevated parkland fairways overlooking the Atlantic Ocean. Facilities : Club house, restaurant, pro shop, driving range, putting and chipping greens, lessons, club hire, trolleys, buggies, buggy bar. Location : On the coast 5km East of Lagos. Leave the EN125 at Odiaxere. See Map.